Perhaps the most exciting and unique facet of cruising aboard the M/V Sikumi is its ability to access places that would otherwise be impossible to reach. The Sikumi carries a skiff that enables passengers and crew to set off on excursions to the mainland, or to one of the Inside Passage islands. Such versatility affords passengers opportunities to explore sites on land for themselves. Alaskan beachcombing is an activity in which many Sikumi passengers indulge. Seek out that perfect beach, build a fire, and relax while sharing the stories of your day with your fellow passengers. While larger cruise ships impose their own agendas upon their passengers, Custom Alaska Cruises offers versatility and flexibility simply unavailable on other cruises. The spectacular terrain that composes the Alaskan wilderness offers opportunities for hiking and exploring for people of all ages and physical fitness levels. 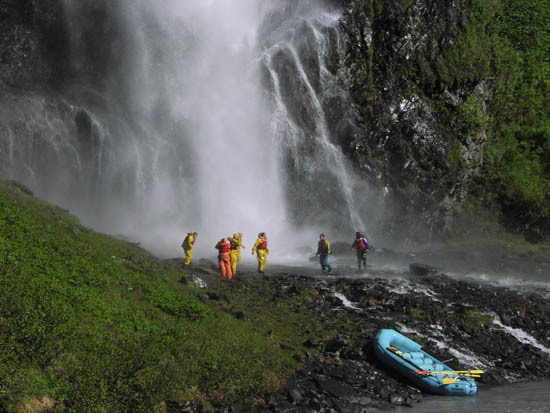 Enjoy all of these and other activities in the pristine and solitary Alaskan wilderness while on your Sikumi cruise.